5 years ago, some friends gave my husband and I a unique gift for our wedding--a Grill & Broil Crate from Penzeys Spices. Over our first year of marriage we enjoyed trying out each of the spice mixes, and Bicentennial Rub continues to be a staple in our pantry for chicken roasts, while Lemon Pepper often makes an appearance when we have salmon. The spices are strong and fragrant, and came packaged just as you see in the picture--in a sturdy wooden crate (that now holds our potatoes), surrounded by bay leaves, cinnamon sticks (so good! 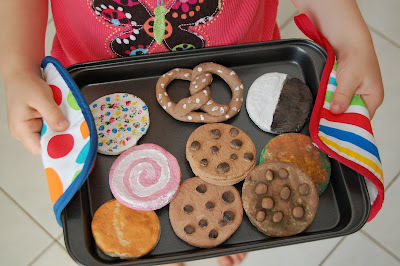 ), and nutmeg. 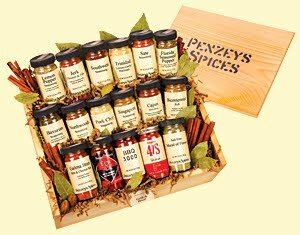 This box turned me into a Penzeys fan for life, and I've since given their spices as gifts myself. As an alternative to the tiny, overpriced herb and spice selections available at most grocery stores, I can't recommend them highly enough as a source for stocking your spice rack. Penzeys also puts out an excellent catalog full of recipes and the occasional coupon, and you can request one here. Penzeys isn't the only option if you're looking to pay less for your flavorings without sacrificing taste though. Ethnic markets, particularly Indian grocers, often carry large bags of spices for a fraction of the price you'd pay normally, and you can just refill the jars you own. We buy our curry, cumin, coriander, turmeric, allspice, mustard powder, and anise this way, among others. There's also a commercial ingredient warehouse in our city that's my go-to stop for some herbs, as well as flours, oats, and all my other baking and decorating needs. Niblack does sell online, but if you can find a place like this where you live, it's truly a cook's treasure! Finally, Sam's Club offers super-sized containers (Tones brand) of the most common herbs and spices without super-sized price tags, and it's a fine and economical way to stock up as well. Of course, if you have a garden, drying your own herbs is always a great option too.